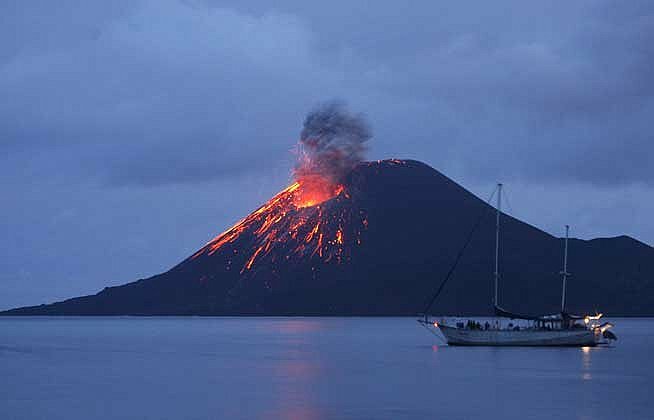 Volcanic activity on Mount Gamalama in Ternate, North Maluku Province has been reported increasing during the last two days, an official said. Head of Mount Gamalama Observation Post Darno Lamane said here on Tuesday that the post, located in Sangaji Puncak Village, North Ternate, has been recording an increased amplitude of volcanic tremors, which varied from 1.5mm to 8mm. "It was due to activity on the surface of the Mount Gamalama crater," Lamane said. The frequent tremors and its increasing amplitude may indicated a possible eruption on the near-conical volcano, which comprises the entire Ternate Island. On Saturday, the volcano was observed to spew a plume of smoke 200 meters into the air. The volcano alert has been set at the level II status. The volcano observation officers will continue to maintain communications with the local authorities and residents on the status of the volcano. "Resident of Ternate are urged not to perform any activities within a 1.5km radius of the peak," Lamane said. Mount Gamalama erupted in December 2014, disrupting economic activities in Ternate and forcing air authorities to close Babullah Airport for two weeks due to the thick volcanic ash. In July 2015, the volcano erupted again, spewing dark clouds of volcanic ash some 1,500 meters into the sky.